Gabe Sumner demonstrates a strong commitment to his work and a high level of attention to his clients' needs each and every day. 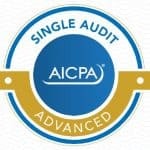 Over the years, he has supervised a number of significant engagements for clients in the non-profit, government and manufacturing sectors, including handling audits for country clubs around the Chicagoland area. Gabe’s ability to work on audits in multiple industries enables him to provide clients with a unique and valuable service. Clients find his constant availability and commitment to service an added benefit to their Selden Fox relationship. Gabe started working in Selden Fox’s audit department in 2003. He earned degrees in both accounting and management information systems from the University of Illinois at Urbana–Champaign. Gabe is a licensed certified public accountant and a member of the American Institute of Certified Public Accountants (AICPA) and the Illinois CPA Society. 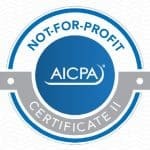 He also successfully completed the AICPA’s Not-for-Profit Certificate II and Advanced Single Audit Certificate Programs. Gabe is an associate member of the Club Accountants Association of America, established for the purposes of education, leadership and networking of accounting personnel in the private club industry. Gabe and his family live in Naperville. Gabe enjoys distance running and believes the competitive nature, discipline and drive required in training for races translate well in serving clients.